Abundance Package. Live your life in abundance. It's not how much you have or which schools you attended or your profession/job. It's a state of being. A mindset that is is "in tune" with the richness of life. DO YOU KNOW YOUR NEGATIVE POVERTY CONSCIOUSNESS CAN BE DERAILING YOUR EFFORTS TO ATTRACT ABUNDANCE INTO YOUR LIFE? Psychological research has shown that human beings can tolerate only a certain amount of discrepancy between their thoughts and their behavior. If you "think" you're poor, you will continue to behave as if you're poor and you will continue to experience lack. Even if you quote affirmations, if you don't "believe" in the law of attraction, in being able to manifest abundance it just won't happen. 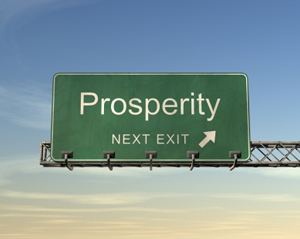 Prosperity is an "overflowing fullness; abundance of the heart" - it's gratitude, generosity. It is a marriage of "right thinking" and abundance actions. It encompasses material possessions such as wealth, but it also is a spiritual state of mind. In order to develop an abundance mindset you have to change your approach to life, to be able to look at things in a different light. In order for financial healing to occur so that you can start attracting wealth and riches, you need to start with your thoughts. If you can appreciate the things already in your life and be able to sense opportunities in the situations all around you, you'll be able to start changing your life to allow more abundance. But for many, it is diffiult to do by oneself. Your success at work, in relationships, and at home could increase dramatically by tuning your brain into the abundance channel! Just imagine what it could be like if every day was spent attracting abundance and prosperity. Wealth would be yours - manifested in money and in the richness of your life, love and surroundings! 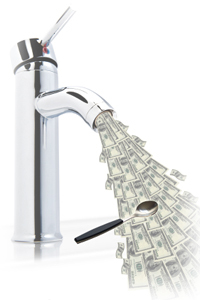 We know you want to attract more money and wealth into your life - that's why you're here. Hypnosis can help you re-program your thoughts to allow abundance to take hold. Listen to our carefully designed Abundance Package to make lasting changes in your life. We recommend that you listen to these sessions every day for 21 days so that your thoughts can become powerful at manefesting the law of attraction. "Financial Health & Wellbeing "
"Harness the Law of Attraction"
Dr. Tim Brunson has carefully scripted and designed the ABUNDANCE PACKAGE sessions to bring about a change in how you perceive wealth, happiness and plenty. It includes cutting edge hypnosis using his Advanced Neuro-Noetic Hypnosis™, brain entrainment technology, and music designed to calm and relax. "Start training yourself to attract the life you deserve!" Hypnosis will help you re-program your ineffective abundance attitudes over the next few weeks. Each day you use the sessions, you'll be opening up new ways of looking at life. Using your own mind power, you'll be able to set abundance in motion - healing your miserly poverty consciousness and unleashing powerful prosperity and wealth attitudes! Live a live of abundance and in abundance today! "Expect your every need to be met. Expect the answer to every problem, expect abundance on every level." Thought is powerful - from physical healing to finding creative solutions for changing your life. 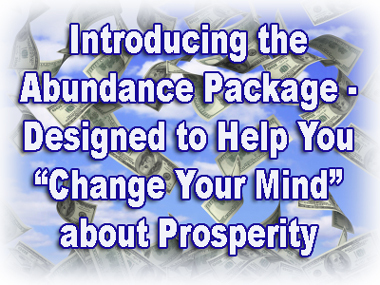 "Start your prosperity journey today with this powerful wealth and abundance package!" 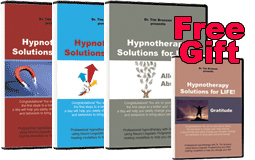 SPECIAL OFFER: Order by Apr 29, 2019 and you'll get "Allowing Abundance ", "Financial Health & Wellbeing ", "Harness the Law of Attraction" Hypnotherapy CDs, AND we'll include a FREE BONUS (see below). Order our MP3 ABUNDANCE PACKAGE FOR ONLY $37.50. Both MP3 and CD order receive the FREE GIFT of our GRATITUDE title. Just want one session? Click here to order individual abundance titles for as little as $19.98! We also have Weight Loss, Sleep & Stop Smoking packages as well as single products starting at $19.98. Please see our website at TimBrunson.com for over 100 titles! Want abundance, affirmations, attracting, healing, law of attraction, manifestation, manifesting, metaphysical, mind power, prosperity, spirituality, the law of attraction, wealth? This is the answer!